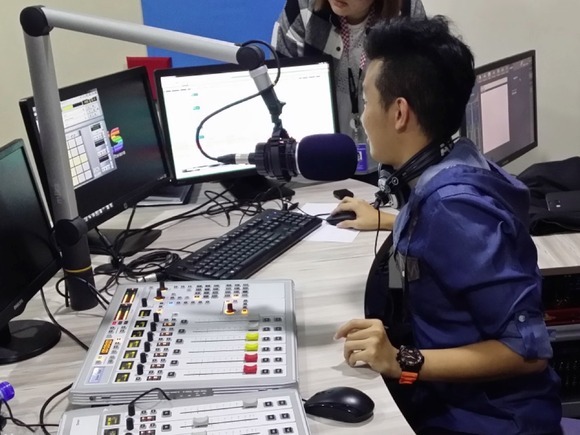 KUCHING, Malaysia – A subsidiary company of KTS Holdings Group TEAFM is a new radio station in Kuching, Malaysia, having first gone to air in mid-July in both English and Mandarin. With the goal of outfitting the new station with cutting-edge audio technology, regional distributor Mahajak Trio Electronic Sdn Bhd supplied a HARMAN Professional system featuring a Studer OnAir 1500 console, JBL studio monitors and AKG microphones and headphones. The TEAFM radio station features one main studio and one backup studio, which use Studer OnAir 1500 12-fader console and a Nano SCore router at the MCR for the local insertion unit to be inserted to the different transmission path. In addition, Mahajak supplied JBL LSR4328P studio monitors, AKG 4500BC and D5 microphones, as well as AKG 141MKII for headphones. In the MCR, the automation server system will drive the local insertion via the GPI connection to the Nano SCore. Mahajak configured four GPI connections for both studios’ audio feeds to different transmission paths for redundancy. In the event of a main studio failure, the automation will trigger the backup studio via the GPI and feed the audio to both transmission paths automatically.